The State Street Area Association is gathering essential hygiene products to help those in need in the community, calling it the Love Campaign. Organizers say they are in need of soap, shampoo, deodorant, tissues and similar items. If you want to contribute, you can find collection boxes at Lucabe Coffee, Dancing Goat Cafe in the Columbus Learning Center, Ivy Tech Community College Columbus, Guitar City and Rock Gym. There will be a giveaway event for those products on Saturday from 10 a.m. to noon at the Robie and America Anderson Community Center on McClure Road. Steven Burton. Photo courtesy of Columbus Police Department. Columbus police say a local man was taken into custody after a search for a missing woman yesterday afternoon. Authorities issued a Silver Alert for the woman who was believed to be missing and in danger. She was believed to be in the company of her boyfriend, 41-year-old Steven “Bobby” Burton. A tip from the public led police to a Bartholomew County mobile home park on Legal Tender Road where she was found uninjured. 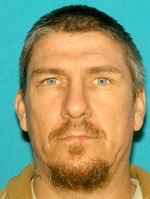 Burton, who was wanted on a local warrant as well as an Indiana parole warrant, was believed to be in the house but would not surrender to law enforcement. Columbus police dog Bane was sent into the home and Burton was found under a mattress in a bedroom. He was arrested on the outstanding warrants, police report.